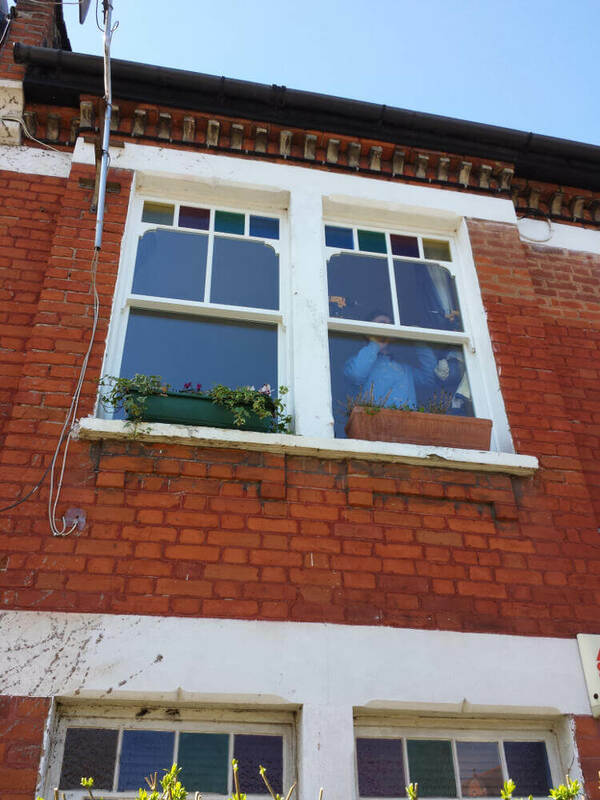 The owner of this first floor flat just off Brixton Hill, Mrs K, initially contacted us to have her windows refurbished and draught proofed. 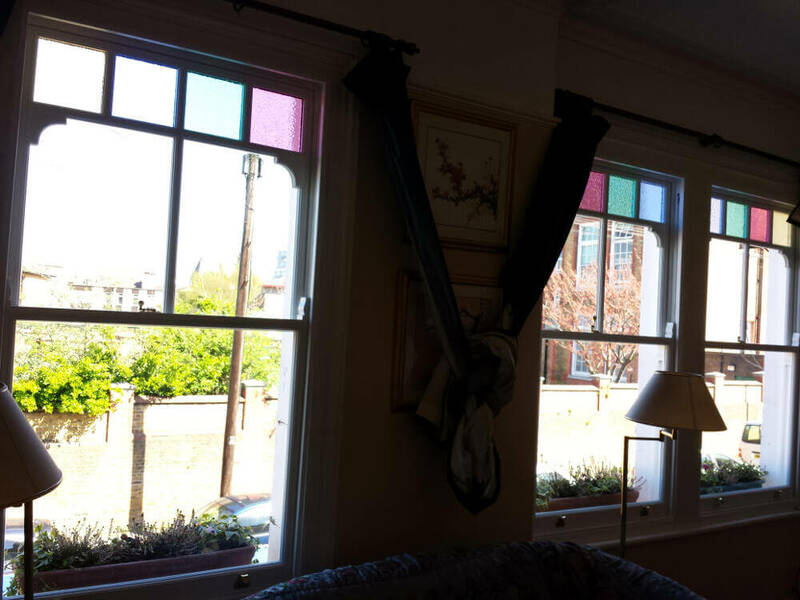 There were two reasons for this. Firstly, having three large windows in the living room meant that the room would become quite cold and draughty in the winter. Secondly, Mrs K did not want to lose the coloured glass used in her existing sash windows, a unique and quirky feature that helped her to fall in love with the property in the first place. When inspecting the windows on a first visit our surveyor informed Mrs K that we could of course refurbish the windows as part of our draught seal and overhaul service. 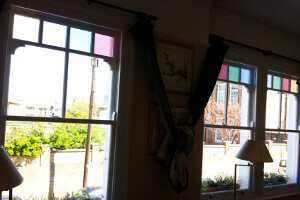 He also noted that we could instead install new double glazed sashes in the existing box frames, our sash replacement service. 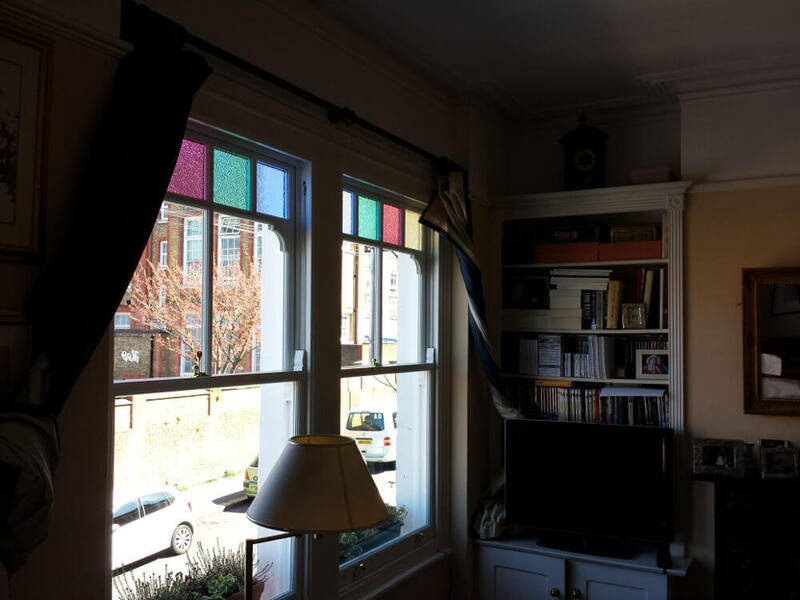 The customer was thrilled to find out that we could carry out our sash replacement service using new coloured glass to exactly match the original traditional windows and duly placed her order with Wandsworth Sash Windows. 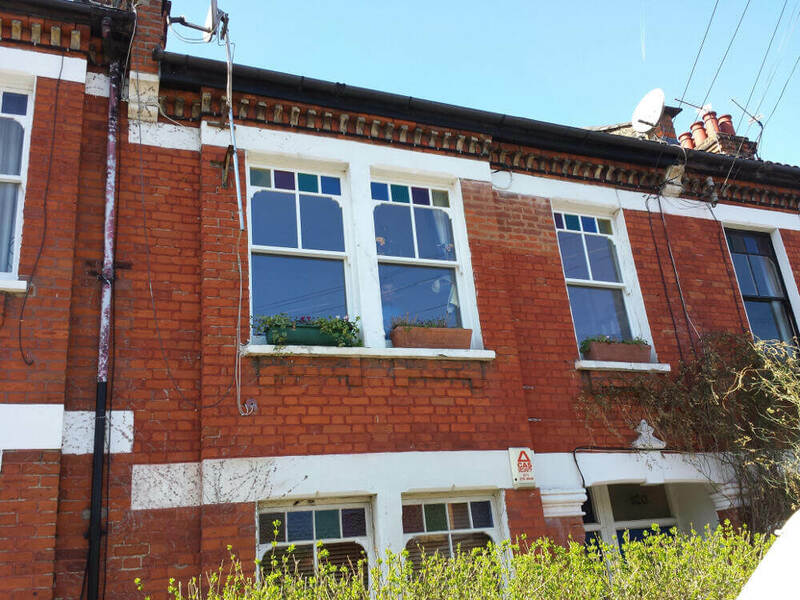 After completing a second survey to measure everything precisely we sent the drawings to our workshop in East Sussex to start production. 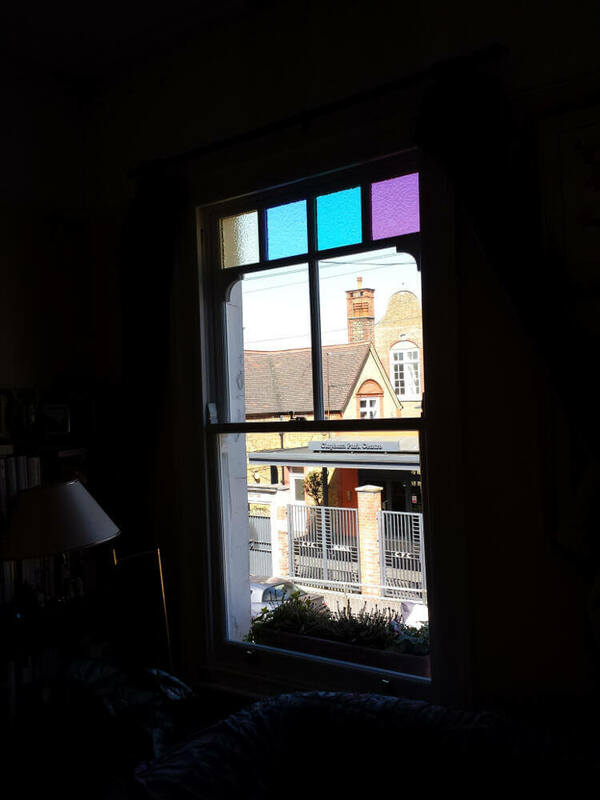 Within a couple of weeks the joiners had completed the bare sashes and we could order the coloured glass from a specialist supplier in Liverpool, with whom we have a successful long-term working relationship. 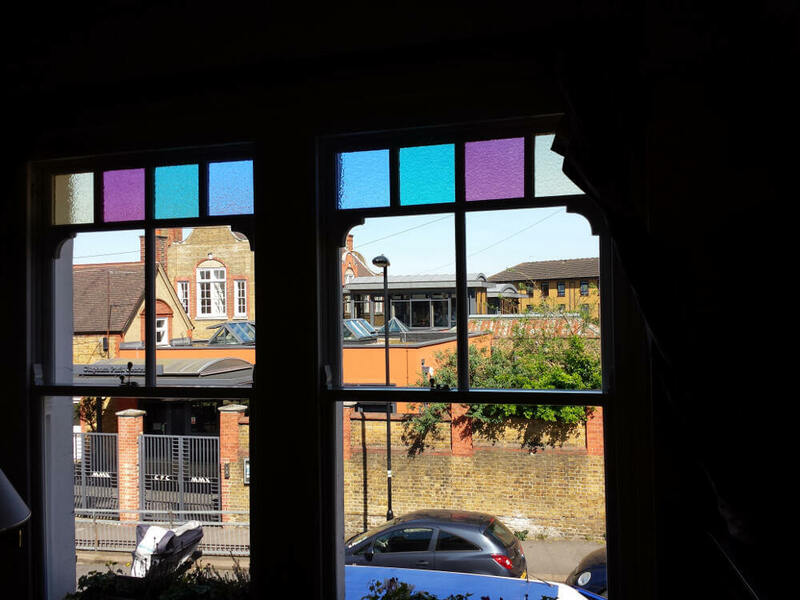 Once cut the coloured glass pieces were shipped to our regular double glazed unit supplier close to our workshop where it was double glazed with clear glass and filled with Argon gas. 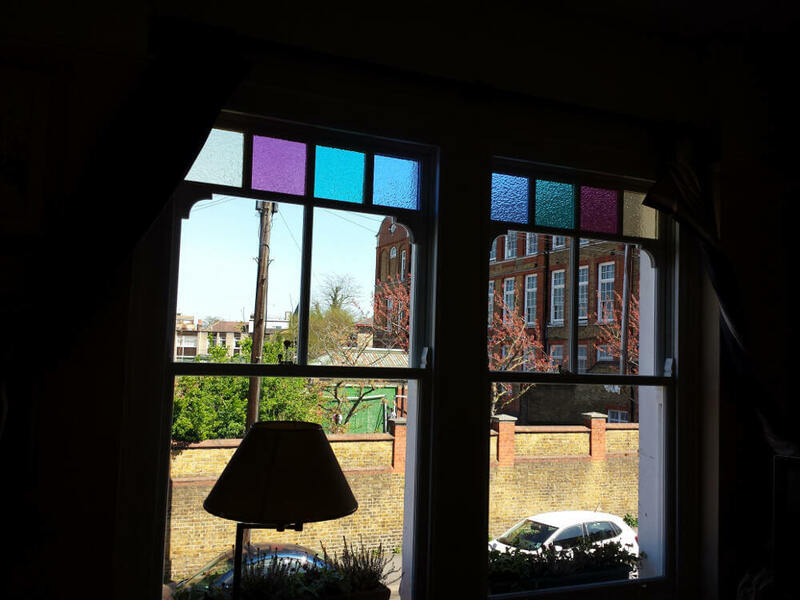 The glass was coloured on the inside of the double glazed unit and clear on the outside, glazed into the sashes which were then hand painted in our workshop. 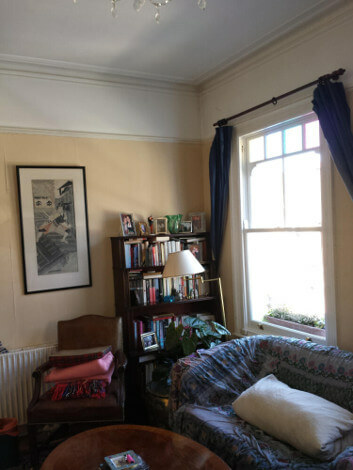 Although we estimated two days for installation, due to the fact that all three windows were located in the same room, our installation team was able to complete everything within one day. 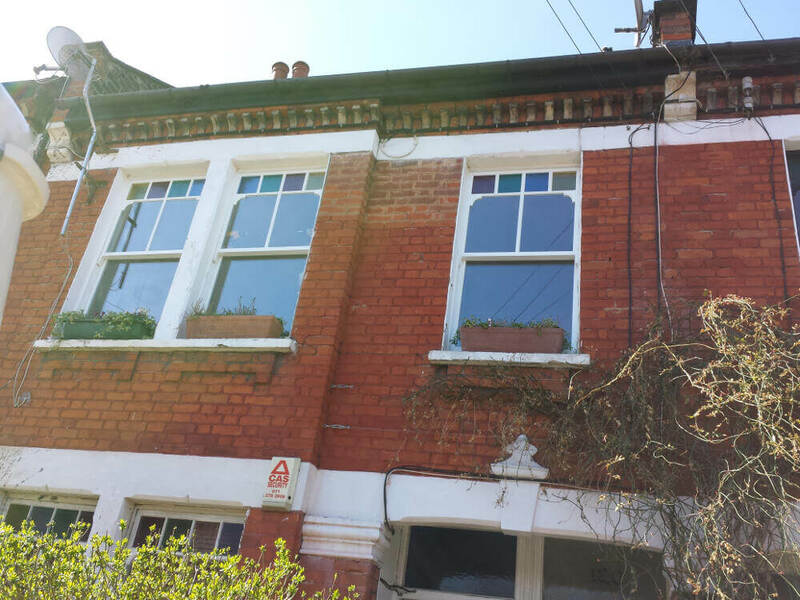 The customer left our fitters with a set of keys while she went to work and returned to a transformed living room.